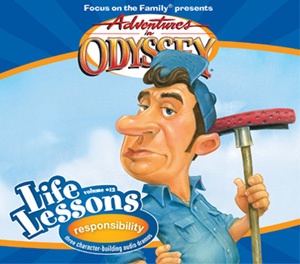 In this hilarious collection of live-and-learn Adventures in Odyssey audio dramas, the youngsters face firsthand tests of being responsible. 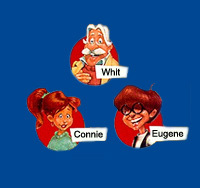 Well-meaning Robyn discovers she's not cut out to cat-sit, while corner-cutting Curt and his gullible friend Oscar learn not to lie their way out of gym class. Town bully Rodney, on the other hand, manages to avoid all responsibility for his actions (as usual). Still, these cautionary tales prove you can learn from your mistakes - if you're only willing.